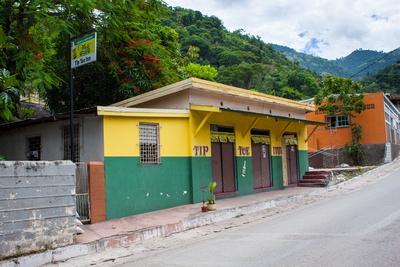 As befitting a Sunday, we went to the church in Gordon Town, St. Martin de Porres Catholic Church, and all of my photography from that day were from the walk home and then after-dinner with the family, making it a quiet peaceful day. 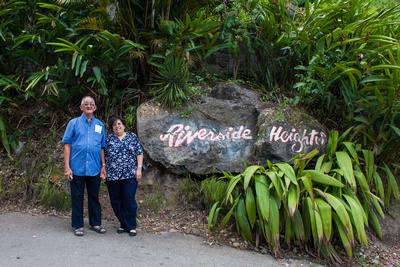 The second is one of my parents standing next to the sign that marks the entrance to Riverside Heights. It must be overwhelming to be in a new place with so many different photographic opportunities.